The much-discussed possibility of funding a new Bucks arena with monies from players’ income taxes, which has been dubbed a “jock tax,” seems almost oblivious to the fact that the tax already exists. These players already pay the state income tax. The question before us all is what is to be done with that money. We must not ignore the fact that using it to pay debt service on bonds to fund a new arena would divert the income tax revenue from what it is paying for now. 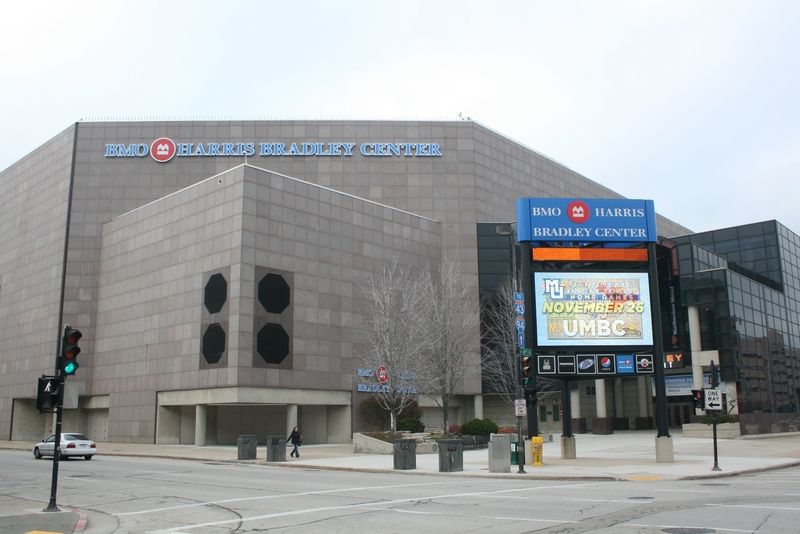 The citizens’ organization, Common Ground, comprised of over 30,000 families who live and work in Milwaukee, Ozaukee, Washington and Waukesha counties, at this point is opposing public funding of a new arena. We want to make it clear that shifting funds from one pot to another, regardless of the money’s origin as a tax paid by basketball players, is not a viable option for funding a new arena. Indeed, shifting the “jock tax” funds to arena debt service would work like a shell game, creating an even bigger hole in the state budget than is already predicted for the next biennium. Watch the fast-moving walnut shells! Which one has the money under it? Is it still there at all? The Republican leaders quoted in newspaper stories seem to go along with the sleight of hand. Assembly Speaker Robin Vos (R-Rochester) called a jock tax is “a viable option.” Sen. Alberta Darling (R-River Hills), co-chair of the Legislature’s Finance Committee, also agreed that it is an option to be considered, especially because it doesn’t tax the general public, as she noted. But oh, yes it does. The Legislature and the Joint Finance committee will have to vote on new legislation in order to divert the income being collected from NBA players. If the Republican controlled Joint Finance Committee, Governor Walker, Assemblyman Vos and Senate Majority Leader Scott Fitzgerald (R-Juneau) go along with this idea, it is nothing more than a Republican tax increase on all tax paying citizens in Wisconsin. In other words, making up for the funds being shifted from one category in the budget to another would in effect create a tax increase—or significant program cuts. The jock tax plan would divert scarce tax dollars from the already strained 2015–2017 Wisconsin state budget. We know that this next budget is facing a shortfall just to maintain existing programs, a shortfall that is projected to exceed anticipated General Purpose Revenue by at least $1.8 billion during the 2015–17 biennium. What is a better approach? Common Ground would like to see the Bucks’ billionaire owners—Mr. Edens, Mr. Lasry and Mr. Dinan—pay for their new arena with their own money. Then the income taxes from NBA athletes and team employees could flow into the state’s general revenue coffers as they should, and Wisconsin taxpayers (upstate and downstate) would not have to be concerned about paying increased state income taxes—at least not for this project. Let’s remember that the NBA just signed a new $24 billion TV contract, from which the Bucks are projected to get $90 million a year for the next 10 years in TV revenue. Why don’t the NBA owners institute their own “jock and owner” tax and float their own bonds to pay for their own arena? There’s a nice precedent out west, where the owners of the Golden State Warriors are coming up with $600 million of their own money to build a new arena in San Francisco. If the Bucks billionaires float and pay for their own bonds, we would have a win-win-win for Milwaukee, for the Bucks, and for Wisconsin. Lets speak the truth here. The new Bucks owners need Governor Walker, Robin Vos and Scott Fitzgerald – all Republicans–to agree to divert tax money for the new arena. If they go along with this idea, it’s nothing more than a Republican State Income Tax Increase on all of us. Leave it to some people to call using tax dollars that will otherwise disappear a “tax increase.” That term is used awfully loose sometimes. The owners already pledged around 300 million dollars. 100 from Herb Kohl, 100 initial from Edens and Lasry, and a new JS article says another 50 from them and 50 from other investors. That’s a $300,000,000 investment in our community and our city. Fact is, BMO still needs upkeep whether bucks stay or go. The arena is also used around 300 times a year, only 41 times are by the Bucks. Saying the Bucks are the only ones who need a new arena may be true, but without the Bucks the public will be on the hook for perhaps 9 figures down the road anyway. More importantly, if you want to talk shell game and you ignore the real possibility that the Bucks could leave and we’d lose that tax money anyway (is that still a tax increase? ), because of the new tv contract and from a historical perspective, the income of NBA personnel should greatly increase. Thus, when this arena is paid off, we’ll have a lot more money flowing into the state coffers. The BMO/New arena is a public asset. It makes sense that there is some form of public investment in them. A Jock tax is a very reasonable way to get this funding in place. If the anti-jock tax crowd and anyone against public funding is wrong and the Bucks really do end up leaving, this money is history. Who do we blame for that tax increase on the rest of us? Under your logic, if a new arena is not built and the Bucks leave that would also cause a tax increase. The money those politicians are talking about diverting only exists because games are played in Milwaukee. If the team leaves, we are out the same amount of money, except we also won’t have a team. Plus, as you point out the NBA has successfully negotiated better paying television contracts, which will likely lead to better player salaries. If this financing is put in place, it is likely the higher-paid players will pay more taxes. That additional money will either be put back in the state budget or pay down the debt more quickly. Using your logic why don’t we have a “NML tax” to fund construction of their building. We can do a tax to fund the construction of the building my company is putting up. Very sad that people get so utterly dogmatic about this. There is NOTHING wrong with *some* tax money being spent on a new arena. I didnt’ say a lot, but this actually still seems like a very good deal for MKE and downtown. @Bill, we are partially funding the construction of the NML building by using $70 million in tif funding. @Andy is just bad at math. Leave him alone & don’t tease him about that.